How do I find a Houston Lawyer? - If you are facing criminal charges or a citation from Houston or any surrounding area police departments. - If you or a loved one has been injured in an accident in Houston or the responsible party is from Houston. - If you need help and advice on the laws of Texas or the local regulations of Houston and surrounding communities. When you meet with a Houston lawyer, come prepared to identify exactly what legal issues you will need help with and why you are seeking legal help. Your lawyer will need to know all about your situation, so be prepared to discuss them. Only when your lawyer has enough basic information can they even begin to offer any meaningful legal advice. 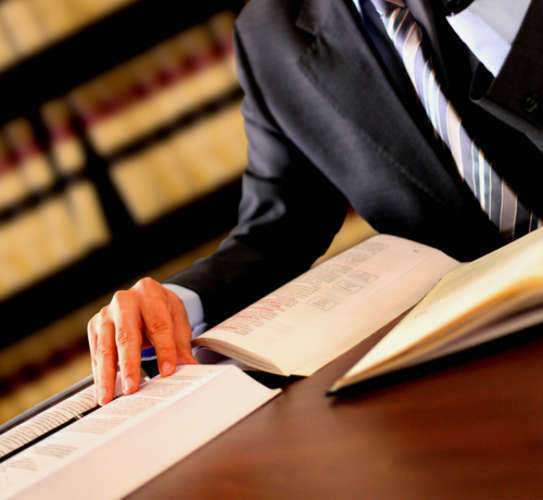 Houston lawyers are available throughout the city and surrounding suburbs. Many of them will advertise their services and be listed in the local lawyer listing services. You may also try to use a lawyer referral service to try to find lawyers in your area. While these may all provide you with the names and locations of lawyers in the Houston area do not select a lawyer until you have conducted your own research about them. You will need to find an experienced and skilled lawyer who works in the area of the law that you require help. Do not settle on any lawyer without first knowing what skill level your lawyer has. The internet can provide a wealth of knowledge about Houston lawyers. While there is a lot of good information, you must sort it out from the advertisements. Use this website to help you search and compare lawyers in your area while also finding out important information about your legal issues. It is recommended that you select a specialist in the area of the law in which you need advice and representation. It can be helpful to seek a lawyer who practices in several area if you have multiple legal issues, however this is not always possible. Instead, go to the lawyer with the specialized skills you most need, and they can refer you to another lawyer if necessary. When you go to meet with a Houston lawyer, it is important that you are prepared in order to get the most out of your time spent with the lawyer. Bring with you any documents or papers that are related to your legal needs. This may include, but is not limited to, police reports, medical records, court documents, correspondence with insurance companies, or a number of other types of papers. If possible, ask your lawyer over the phone or email about which documents you will need to provide before your meeting. It will also be just as important that you come ready to discuss the details of your legal issues, knowing the specific factual information such as names, dates, places, and times that correspond with your case. Review of this information will assure that you come prepared to speak with your lawyer. Questions may also be very helpful when you meet with your lawyer. Prepare them before meeting with your lawyer, so that you do not forget to ask them during your meeting. Any lawyer that can represent you in the state of Texas must graduate from an accredited law school in the U.S. and meet the ethical requirements as outlined by the Texas Bar Association. After this, they will have to pass the Texas Bar Examination. While these are the minimal requirements and should be checked, it is important that you use the services of a qualified and trustworthy lawyer. Check with outside sources to evaluate a lawyer's experiences, skills, and abilities. The Texas State Bar Association may be able to provide you with a good start on where to find such information. Do not rely on the advertisements you see on television or read in the newspaper. Often, these claims are exaggerated and do not truly reflect what type of lawyer you can hire. Quality Houston lawyers will know how to give you the proper advice on your case and bring your lawsuit through the entire process. They will have had prior experiences working on similar cases and will be able to advise you on what possible results may come from the legal process. They should be able to provide several options and be open to listening to what you want to accomplish with their services. They will need to negotiate with other parties, file legal documents in a timely manner, and keep you up to date on important aspects of your case. While most Houston lawyers are trustworthy and responsible professionals, you should always keep an eye on how your lawyer represents you and make sure they are doing their job correctly. Failure to meet deadlines, being out of contact for extended periods of time, or questionable billing practices are all red flags that should lead you to contact the Texas State Bar Association. This will assure that your legal rights will be protected and your lawyer will face the proper consequences if they are indeed acting in an unethical manner. Fees and rates can be calculated in several different ways, so it is important that you understand what your expenses will be and how they will be paid. Always get any fee agreements in writing and check with other sources if you are unsure if the proposed rates and fees are fair. A contingency fee is a way of collecting fees at the end of representation, in which the lawyer will take a specified percentage of the final award or settlement. These fees are usually used for personal injuries or malpractice lawsuits. Typically, the percentage will be between 30% and 40%. These types of fees are very helpful for people who cannot front the high costs of litigation. A retainer fee is an upfront payment that will be used for later legal work. They will typically be non-refundable and the lawyer will take form the retainer fee as work is completed. They may take out fees for hourly rates, litigation expenses, filing fees, or other related financial needs for your case. A referral fee is the splitting of fees between lawyers who refer cases to each other. What will be your fees and what expenses should I expect to pay? Do you believe I can accomplish my goals or will I need to compromise? Do you have experience with these types of cases? When will you contact me for updates? How long do you believe my case will take and what are the best and worst possible outcomes? Lawyers in Houston with expertise in numerous legal areas are available for advice, consultation, and representation if need be. Many different lawyers in the Houston area are available; however it is important that you find the right lawyer. Houston rules and the laws of Texas can be very complex and it is necessary that only well experienced lawyers work on your case to get the results that you want. Before your decision, check on the experience, knowledge, and expertise of your lawyer. Houston and the local bar associations may be able to provide you with some listings of available lawyers, so use all resources that are available to you. They can also provide you with important information regarding whether any potential lawyer has had ethical violations or consumer complaints made against them, which will help you in your decision. The Houston Young Lawyers Association is a bar association that has members that are just starting out in their practice and are fresh out of law school. This group provides help for finding jobs, advisers for legal problems young lawyers may come across, and a network of professionals. All different lawyers are members of this group, ranging from personal injury, family law, real estate, corporate, and criminal lawyers. The group provides many informational seminars and materials while also providing a social aspect for members. They can help with CLE requirements and for advice for young lawyers who are trying to break into and be successful in the legal profession. Houston drunk driving lawyers are available for consultation and advice. They should be sought immediately after any arrest or citation for drunk driving in Houston, Texas has recently made the laws and consequences for drunk driving convictions to be some of the most strict in the United States. Just a first offense can lead to 3 to 18 days of jail, license suspension for 3 months to a year, fines of up to $10,000, and insurance surcharges. All of these consequences will be determined by a judge, so it is important that a qualified Houston drunk driving lawyer represents you during the process, to try their best to get you the minimum amount of jail, fines, and license suspensions that are possible. Without the help of a DWI lawyer, you will face a very confusing and highly technical legal process that can lead to these serious consequences being sought against you. Houston is one of the largest shipping hubs in the gulf of Mexico, with many important commercial interests coming in through Houston. Maritime lawyers have been working in the area ever since the port of Houston has been in operation. It is important for them to sort through the various legal issues that come with any type of commercial activity. Houston maritime lawyers must deal with very unique laws, all of which are combined from various sources of international, federal, and state law. As such, when you have admiralty law needs, it is very important that you use the help of qualified lawyers who know all of the laws and how to proceed through the proper legal channels. The high costs of legal services can often leave those who need help without any recourse. As such, there are some services that provide low cost or even free legal services for those who need the help. Lawyer volunteer programs are one such type of program, in which lawyers give back to the community by providing legal help to low income and needy groups. The Houston Law Directory may help provide you with some insight to these types of groups. Lawyer volunteer programs, while usually helpful, should only be used if you cannot afford a private lawyer. Volunteer lawyers sometimes cannot provide all of their attention to volunteer programs, as they have law practices that require much attention and needs. Other similar programs to help those with legal needs are available in Houston. Lawyer referral groups can direct you to programs that provide legal services and volunteer lawyers. If you are a criminal defendant and need the help of a lawyer, Houston has a public defender office that will provide legal help if you meet the necessary financial requirements. Consult with these offices to see if you can qualify. Again, it is recommended that if you can afford a private lawyer, even if it requires taking out a loan or borrowing from relatives, a private lawyer is usually a better option, as they will devote all of their time and energy towards your case.